Proteomic analyses facilitate the interpretation of molecular biomarker probes which are very helpful in diagnosing schizophrenia (SZ). In the current study, we attempt to test whether potential differences in plasma protein expressions in SZ and bipolar disorder (BD) are associated with cognitive deficits and their underlying brain structures. Forty-two plasma proteins of 29 SZ patients, 25 BD patients and 93 non-clinical controls were quantified and analysed using multiple reaction monitoring-based triple quadrupole mass spectrometry approach. We also computed group comparisons of protein expressions between patients and controls, and between SZ and BD patients, as well. Potential associations of protein levels with cognitive functioning (psychomotor speed, executive functioning, crystallised intelligence) as well as underlying brain volume in the hippocampus were explored, using bivariate correlation analyses. The main finding of this study was that apolipoprotein expression differed between patients and controls and that these alterations in both disease groups were putatively related to cognitive impairments as well as to hippocampus volumes. However, none of the protein level differences were related to clinical symptom severity. In summary, altered apolipoprotein expression in BD and SZ was linked to cognitive decline and underlying morphological changes in both disorders. 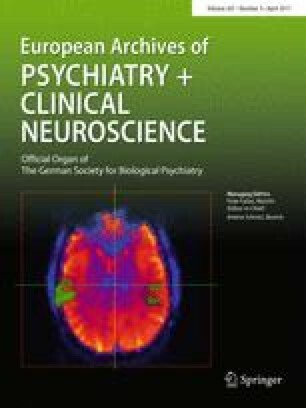 Our results suggest that the detection of molecular patterns in association with cognitive performance and its underlying brain morphology is of great importance for understanding of the pathological mechanisms of SZ and BD, as well as for supporting the diagnosis and treatment of both disorders. MRI was performed at the Frankfurt Brain Imaging Centre, supported by the German Research Council (DFG) and the German Ministry for Education and Research (BMBF; Brain Imaging Center Frankfurt/Main, DLR 01GO0203). We acknowledge the Brazilian National Council of Research (CNPq) for funding Dr. Gilberto Alves, who is supported by a postdoctoral scholarship from the CNPq (Process 209981/2013-0) in an exchange cooperation programme with the Goethe University, Frankfurt am Main, Germany, and Dr. Andre F Carvalho, who receives CNPq research fellowship awards (level II). Sabine Bahn is a Director, and Jason D. Cooper and Sureyya Ozcan are consultants of Psynova Neurotech. None of the other authors report any conflict of interest. Jason Cooper, Sabine Bahn and Sureyya Ozcan would like to thank the Stanley Medical Research Institute for centre support. The study was reviewed and approved by the ethics committee of the Faculty of medicine, Goethe University, Frankfurt/Main, Germany.